I've told you all of my long time love for Purex products and my loyalty to the brand above all others. But I haven't shared my actually experiences with learning how to do laundry as well as teaching my teenage daughter before now. Everyone has to learn at some time how to do it and even if they don't choose to do laundry on their own, I can promise it is something you want to know the basics of. Otherwise, you can truly mess up the cloths you've spent money on as well as the machines you either bought or are using. It can also be a very wasteful mistake if you aren't sure what you are doing. When I was younger my mother actually laid it out and gave us each a step by step guide on how to do laundry. Which things get sorted and washed together, what kind of soap and softener, how much soap, temperatures, and how to load! This was absolutely fantastic but very few people are this detailed or lucky. I can definitely tell you I hadn't had the opportunity to even teach Alana before she actually tried on her own (of course impressing myself and Kevin). We are fortunate enough that she took the initiative to start doing her own laundry with the exception of a few things. First off, her first load was not sorted and ended up bleeding pink onto whites which upset her quite a bit. Some of the clothing was salvageable and others no longer looked "right". Her second load was she literally filled the entire compartment of the washer with detergent both wasting a ton and potentially causing harm to our septic by adding that much soap. Thankfully, Purex has done it again with the creation of New Purex® PowerShot detergent! 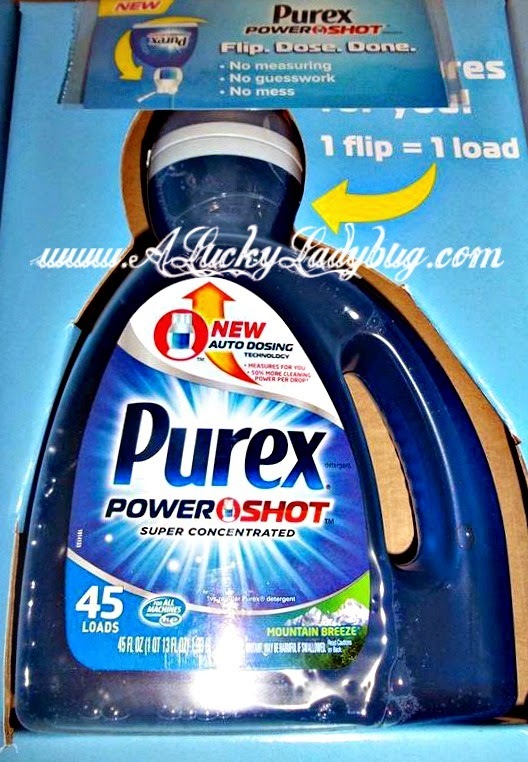 "Purex® PowerShot is the only bottle that automatically dispenses the right amount of super concentrated formula with 50% more stain fighting power in every drop. " 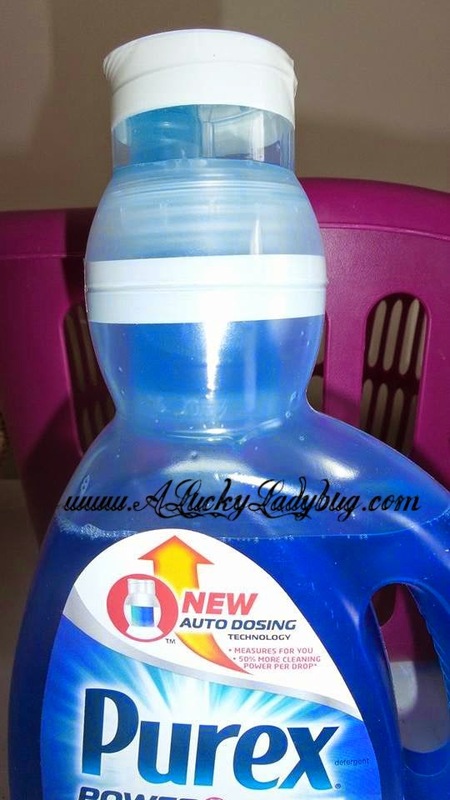 I was quite hesitant in trying out this type of detergent (bottle) for fear of making a mess, using it incorrectly causing overuse, etc., but I have faith in all things Purex so we gave it a try. As you can see from my video there is literally zero mess, zero waste, no sticky/soapy cup left after, and it is literally as easy as tipping the bottle. Recommendation: Honestly, I think this is a great brand which I've obviously used frequently in the past! I love the No Sort idea especially when it comes to Alana attempting to do this on her own!! 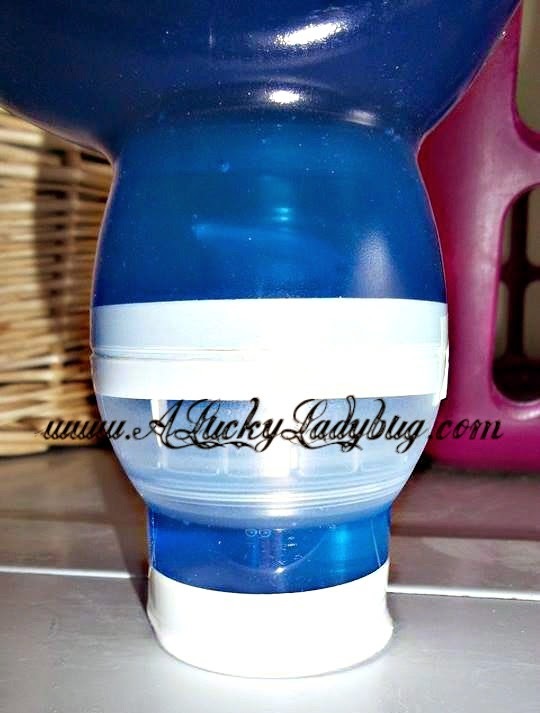 I recommend this to anyone who does laundry especially the begginers or those always in a hurry!